Overlooking the spectacular views of Santa Eulalia Marina. Cafe Sidney is the place to be. Serving a wide range of dishes including traditional breakfasts from a large variety of countries and a superb salad menu the restaurant caters for all tastes. Cafe Sidney has a relaxing and friendly atmosphere with wireless internet plenty of seating room on the large sun terrace and a flat screen TV playing quietly in the back ground. Opened in Summer 2005 it is the Sister Restaurant to the popular Cafe Sidney Botafoch offering both a similar menu and environment. So if you are in Santa Eulalia Cafe Sidney is well worth the visit. Perfect for local tourists families business meetings whatever the agenda Cafe Sidney offers a fast and friendly service with great food and a stunning location. Cafe Sydney was a great place to hang out any time of the day or night. There was always a great atmosphere and plenty of different dishes to keep us going. 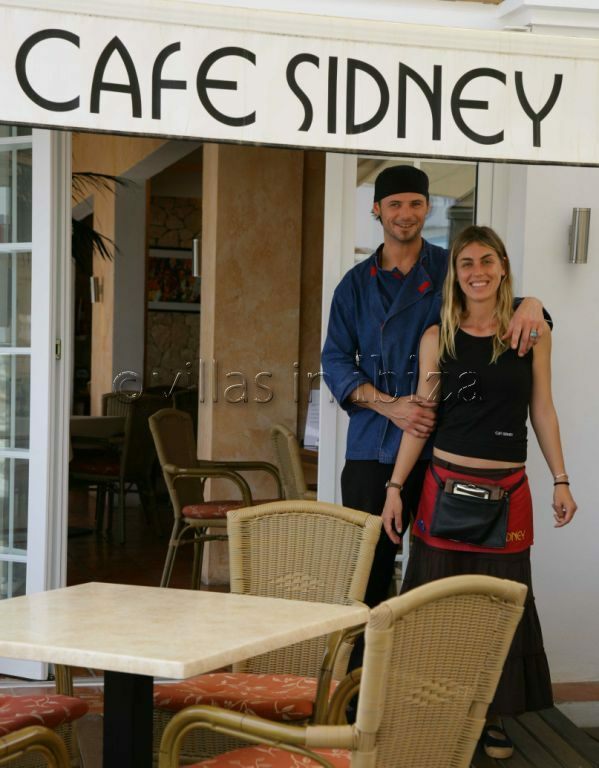 One of the best in Santa Eulalia, with really friendly staff. One of my favourites in Santa Eulalia, the atmosphere and view is very relaxing. This restaurant is one of the best we visited while in Ibiza, the food was superb with excellent friendly service, the setting looking over the marina, especially at night is very romantic.